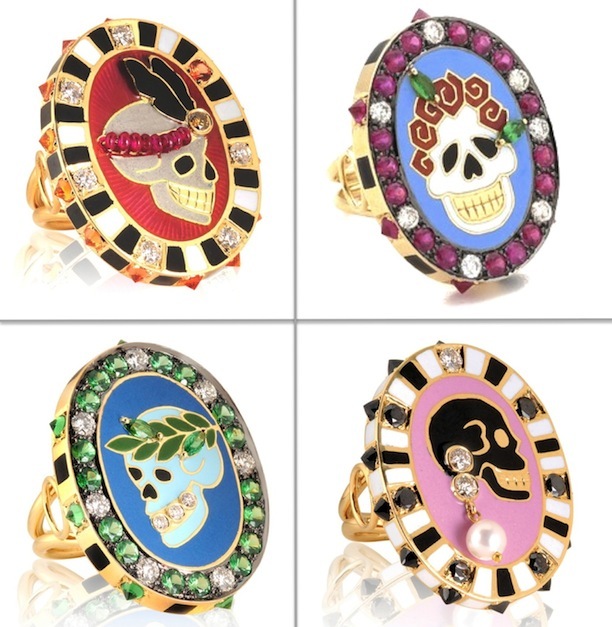 Just in time for Halloween I've rediscovered my obsession with Holly Dyment's tough luxe Momento Mori Skull Rings. Named after days of the week and each with their own personality, Holly's skull rings give serious attitude to the traditional realm of fine jewelry. Although these statement rings may be out of the price range for most, diamonds, rubies, sapphires and gold make them a worthy investment for the rock chic without a budget.